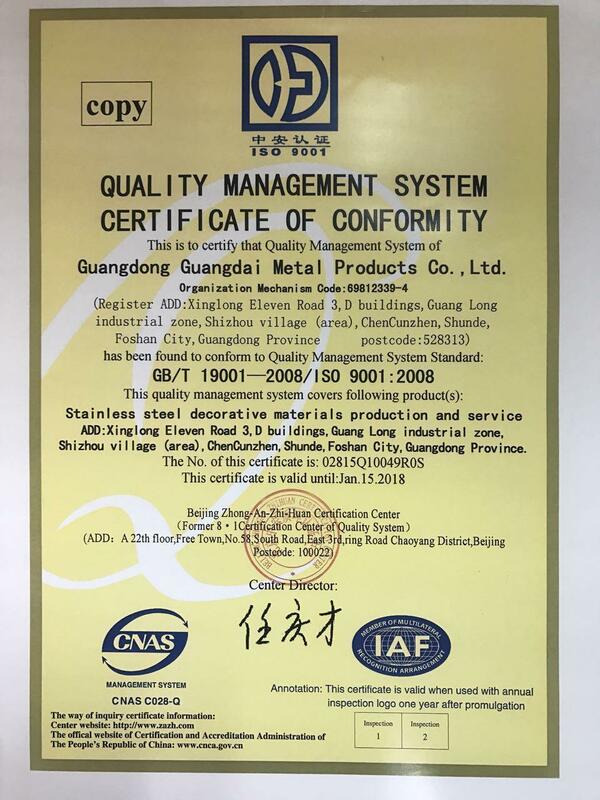 Our company, Guangdong Guang Dai Metal Products Co., Ltd., manufactures customized stainless steel decorations for 5-star hotel, high-class Club and villa with competitive price and high quality. 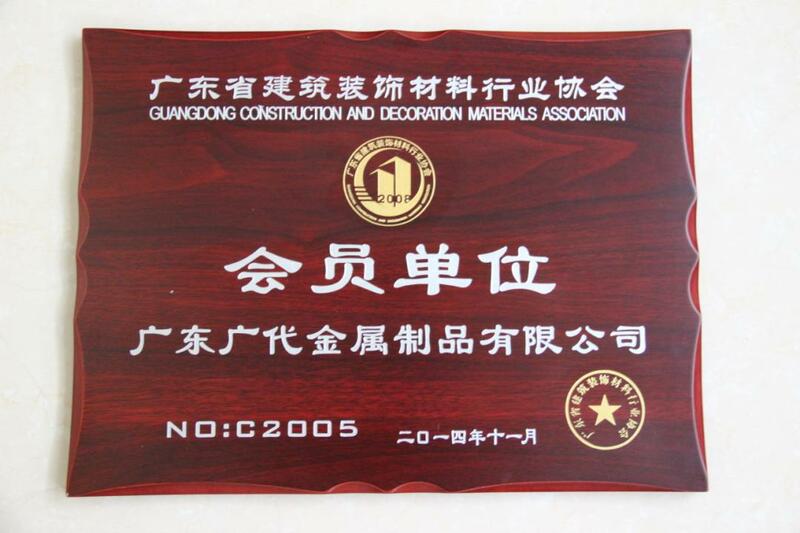 The products cover screen partition, railing, display cabinet, column cladding,decorative frame, furniture accessories, wall panel and so on. 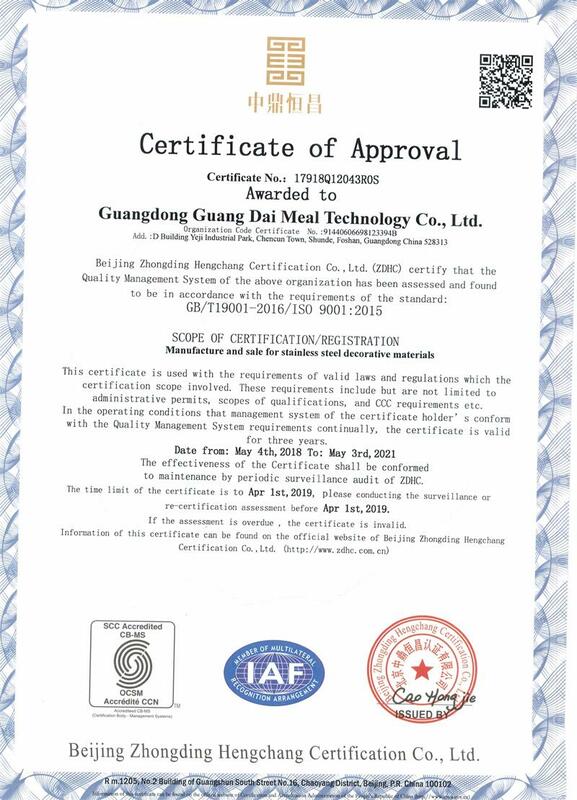 We also provide one- stop service including design, producing,, assembling, and after sales. 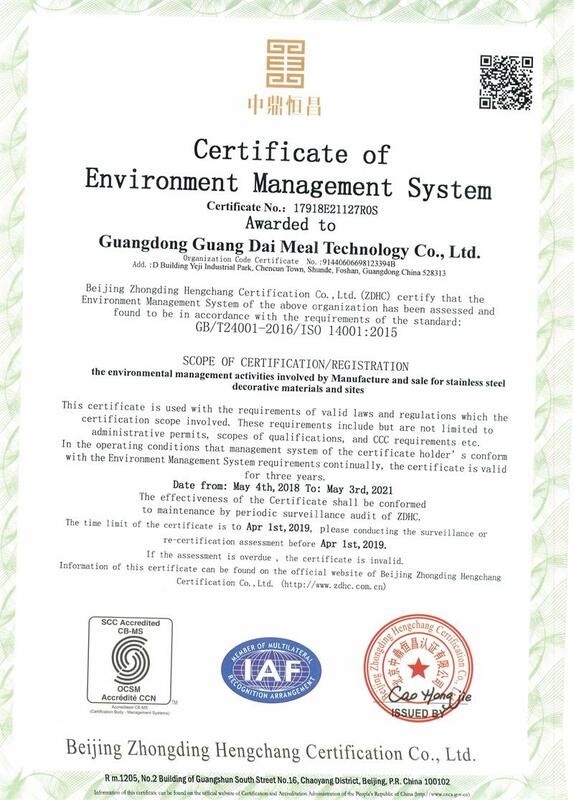 Hope to establish long term cooperation with you. 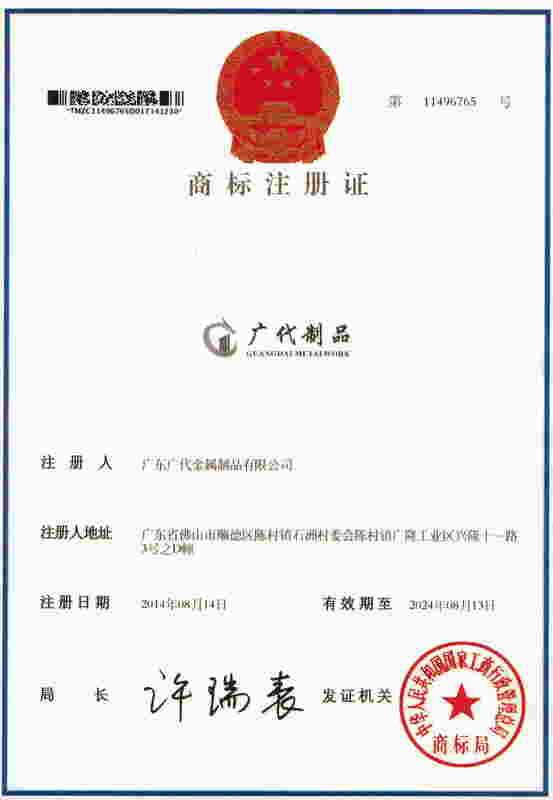 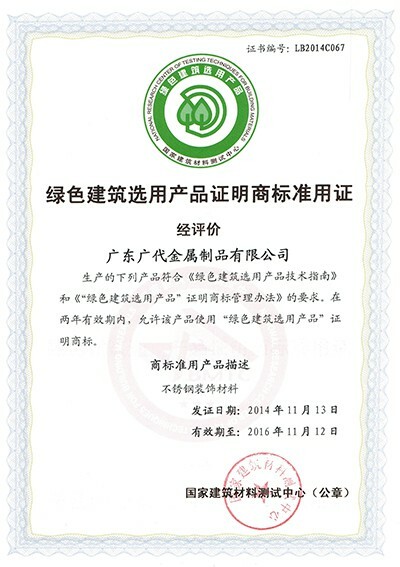 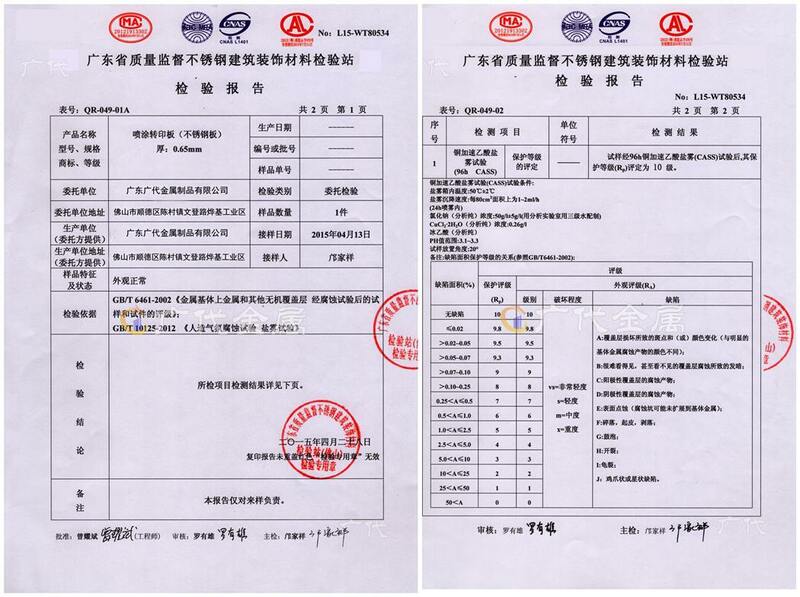 Beijing Zhongding Hengchang Certification Co., Ltd. 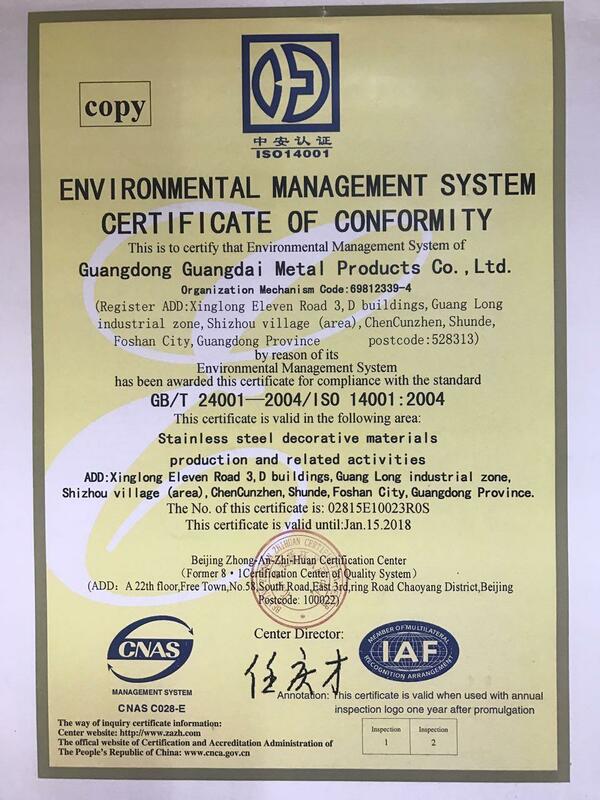 Stainless steel decorative materials production and related activities.